Add up to five Space Ex units to painlessly expand your Space capacity to 192 TB. These cost a fraction of the same capacity Space unit and let you add capacity in the background while you work with no downtime. Optimised for digital content management, Space Ex works with any mix of Mac, Windows or Linux clients. It’s safe, fast and cost-effective – the perfect solution to an increasing need for quick, secure data storage. 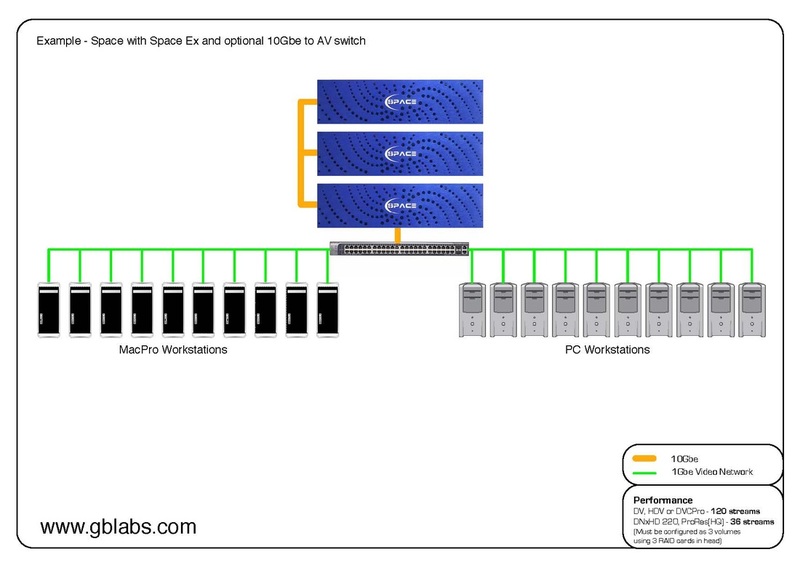 Using high-speed SAS connectivity, Space Ex is easy to install without new cabling or client adaptor cards. Connect one or more Space Ex units using an extra RAID card in the Space to add 100% more performance. Click picture below to enlarge. Copyright © 2019 Sentra Grafika Kompumedia. All rights reserved.